Happy Thursday everyone! So sorry for my absence lately. But, I’ve been swamped with work. In fact, as you read this, I will be getting ready to board my flight overseas! I’m going on a work trip for most of July, so you won’t see much of me here. Before I leave, I have a few posts that I’ve already got the photos for but haven’t had a chance to edit. I hope to squeeze in as many as I can while I finish packing and I’ll try to schedule a post once or week or so… Hopefully, this way you won’t forget about me! 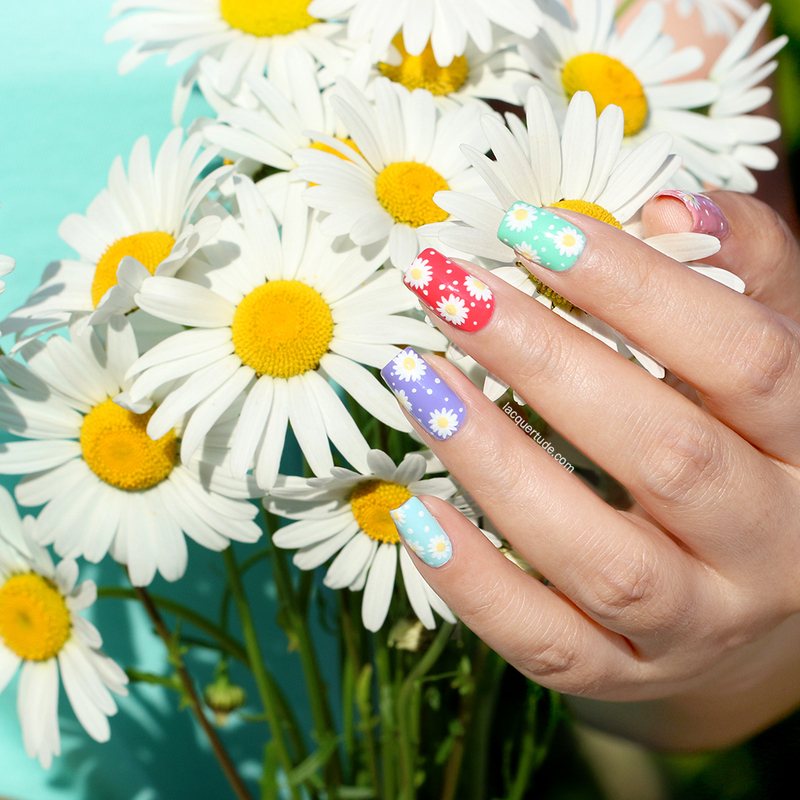 For today, I’ve got a sweet and fun floral manicure to share with you! I’ve always loved flowers of all kinds and all colors. They add so much beauty anywhere they’re present, whether in your home, in the wild fields, or in flower shops. 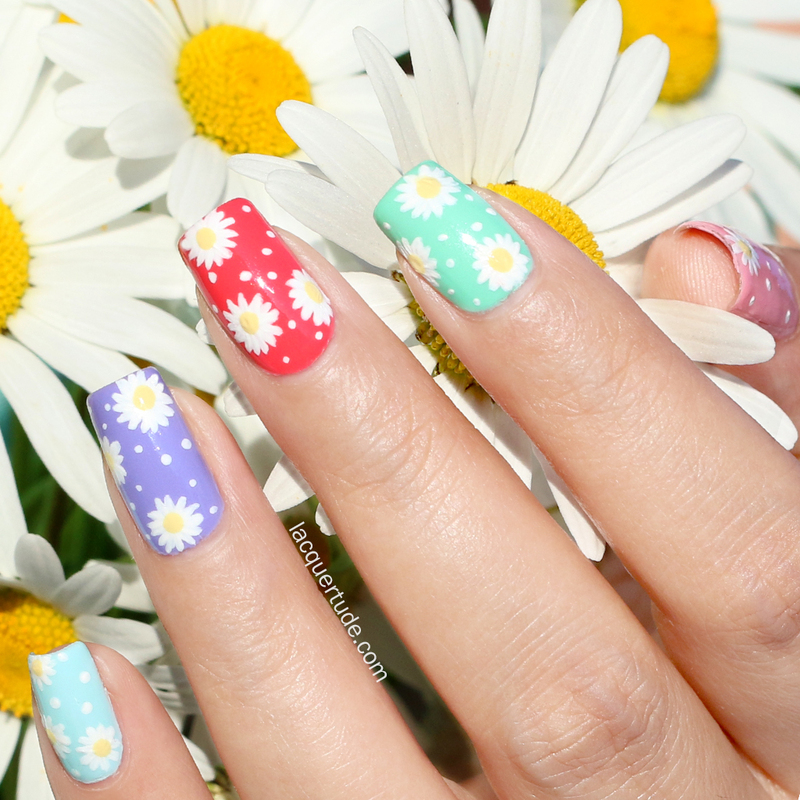 Among the countless flower species out there, daisies are some of my favorites! Well, what better way to show off my love for them than to wear them on my nails with soft pastel skittles as base?! Hope you enjoyed this post! Have a wonderful day and enjoy your summer in July!! Can you please make tutorial on these? I absolutely LOVE them!! Oh, those dasies! Absolutely gorgeous! So lovely! All your manicures are gorgeous but this one is especially sweet, I want to look at it again and again. I like it. 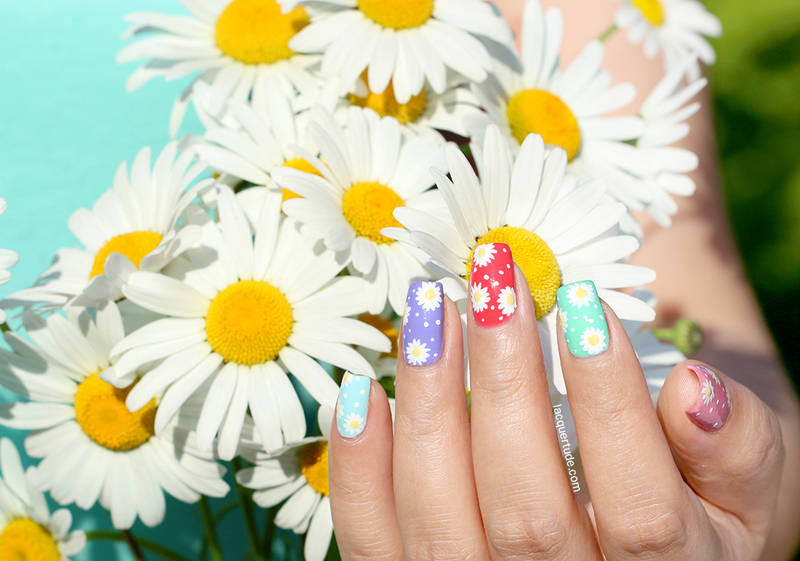 It is a nice mani for the summer. How did you do this?